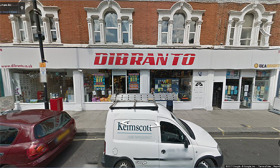 Retailer Ideabright Ltd, which operates stores in Fulham under the Dibranto, PoshRosh and Cleanup names, has been bought out of administration by one of its directors. According to documents from Duff & Phelps, Ideabright, which went into administration in August owing creditors more than £2.2million, was bought by a newly-formed company, Dibranto Ltd, for £70,000. Dibranto, which was incorporated in May this year, before administrators were called in, lists its sole director as Mrs Roshni Patel, former director of PoshRosh Ltd. Duff & Phelps, which has been handling the case, explained in its notice of administrators proposals that the buyer is “connected to the management”, with family ties to Ideabright and its directors, Manilal and Sulochana Patel. The retail group, which posted a turnover of £6.1million for the year ended March 31, 2016, called in administrators this summer, with a company spokesperson blaming tough trading and high costs attached to the area it operates in. It had already taken the decision to cease trading from two of its four outlets, including PoshRosh, which sold homeware, kitchenware and baby ranges. Comments from customers on PoshRosh’s Facebook page complain of unfulfilled orders dating backseveral years, with the most recent complaints towards the end of 2016. Matt Ingram and Allan Graham of Duff & Phelps were appointed as joint administrators on August 9 and attempted to sell the business as a going concern, allowing the retailer to continue trading online and instore during this process. Ideabright continued to trade until September 5, selling stock at discounted prices from its stores in Fulham, its warehouse in Chessington, and also via online platforms, such as Ebay and Amazon Marketplace, and its own transactional websites. Administrators hoped this would result in greater realisations, minimising creditors’ claims and also saving a number of jobs. The business was expected to break even during this trading period and realised sales of £46,607 between August 9 and 31. The sales from August 31 to September 5 are yet to be finalised. Several parties responded to the sale memo but the only offer to buy the company and its assets came from Mrs Patel via Dibranto Ltd. Her first offer was rejected but a revised offer – which, when broken down, includes £58,998 for stock - was accepted by administrators who said they are satisfied that the business was sold for the “best price achievable”. The freehold properties, which the retail group owned and traded from, were also marketed as part of the administration but were bought by directors who were also connected to the company management. These include residential lettings above the shops. Amongst Ideabright’s biggest creditors in the industry is BIRA Direct, which is owed £143,762.20, distributor Barrus, which is owed £18,833.51, Earlsfield Power Tools at £23,577, Home Hardware Southwest at £10,314.50,wholesaler AB Gee at £9,000, and Draper Tools, which is owed £7,901.19. When are we ever going to learn that these types of businesses, are nothing more than what the authorities would under any other circumstances, describe as "a long con". We hear of this so often where the company goes under owing sometimes millions and then low and behold the admistrator pops up and sells it back at a huge knock down price to the original owners who put it in that position in the first place! To add insult to injury, then idiotic manufacturers and distributors, start trading with them all over again. All because they are pushing for market share and don't care how its achieved. I really hope the creditors do not deal with them again! The law does need changing. And if there is £59,000 in stock. Why are the suppliers not collecting it. Another Phoenix company re emerges. No doubt creditors as listed will be furious, and avoid trading with new entity at any cost. This absolutely has a great stink about it! No doubt legal, but the law needs changing!